Orthodontic treatment opens up more possibilities for you and your patient when you combine it with cosmetic dentistry. In Part 1, Dr. Catalano related an anecdote that clarifies the need for orthodontia. He also began to explore the question of how to incorporate it into your treatment plan. Keep reading to see why harmony in many aspects of aesthetics can create better outcomes. Many patients will point to their upper front teeth when pinpointing what they see as the problem with their smile. They think improving this area is what is needed to make their smile beautiful. But what about those crooked lower teeth? Do they know that when they talk they show more of their lower anterior teeth than those upper front teeth? What about the narrow arch? What about the unevenness in the gum tissue? Unfortunately, patients don’t know what they don’t know. These blindspots are where I can use my cosmetic dental knowledge to educate them. I may say something like, “I hear what you’re saying, but can I share with you what I see?” or “If I had a magic wand, this is what I would want to do for you…” Then I just tell them. The cool thing about combining orthodontics with your cosmetic dentistry is you can accomplish much more of your smile design goals with the patient’s own biology. You can widen the arches and create the true wider buccal corridor. You can level the incisal edges to harmonize with their lips. You can create ideal gingival symmetry by leveling the gingival crests and repairing the incisal edges with your new restorations. You can create more overjet to minimize tooth reduction while achieving ideal anterior envelope of function. You can create restorative space from all directions: interproximal for undersized teeth, incisally for short teeth, or lingually for wear and erosion cases. Sure, you can do a lot of this with restorations alone, but will you get the same result? Often you can get more bang for your buck with the combination of orthodontics and cosmetic dentistry. 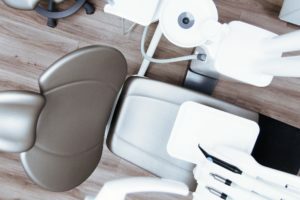 With the emergence of airway-centered treatment in dentistry, I believe we will be incorporating orthodontics much more in our treatment plans. This aids in widening arches and helping to open the airway. Idealizing the patient’s dental arch potential will not only provide a beautiful smile, but the smile will also be healthy. The next time you are doing a cosmetic evaluation, consider combining orthodontics. You may find that just like putting on a raincoat and boots in a downpour, you will have more possibilities and fun.